Mizushima N, Yoshimori T, Ohsumi Y (2011) The role of Atg proteins in autophagosome formation. Annu. Rev. Cell Dev. Biol. 27, 107–32. Rubinsztein DC, Maria G, Kroemer G (2011) Autophagy and aging. Cell 146(5), 682–95. Kimmelman AC (2011) The dynamic nature of autophagy in cancer. Genes Dev. 25(19), 1999–2010. Sridhar S, Botbol Y, Macian F, Cuervo AM (2012) Autophagy and disease: always two sides to a problem. J. Pathol. 226(2), 255–73. 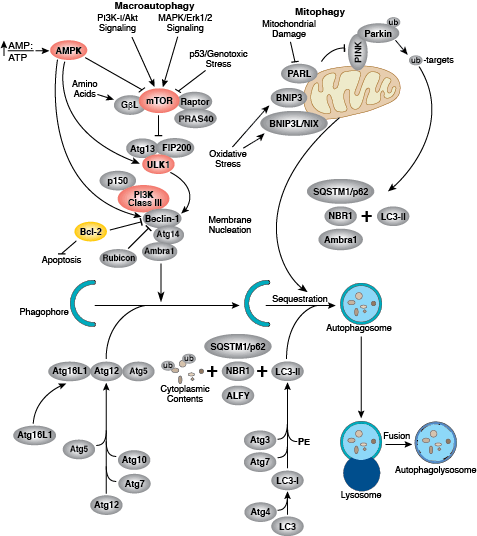 Alers S, Luffler AS, Wesselborg S, Stork B (2012) Role of AMPK-mTOR-Ulk1/2 in the regulation of autophagy: cross talk, shortcuts, and feedbacks. Mol. Cell. Biol. 32(1), 2–11. Moscat J, Diaz-Meco MT (2011) Feedback on fat: p62-mTORC1-autophagy connections. Cell 147(4), 724–7. Mizushima N, Komatsu M (2011) Autophagy: renovation of cells and tissues. Cell 147(4), 728–41. Codogno P, Mehrpour M, Proikas-Cezanne T (2012) Canonical and non-canonical autophagy: variations on a common theme of self-eating? Nat. Rev. Mol. Cell Biol. 13(1), 7–12. 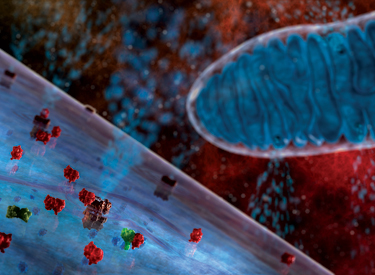 Lee J, Giordano S, Zhang J (2012) Autophagy, mitochondria and oxidative stress: cross-talk and redox signalling. Biochem. J. 441(2), 523–40.